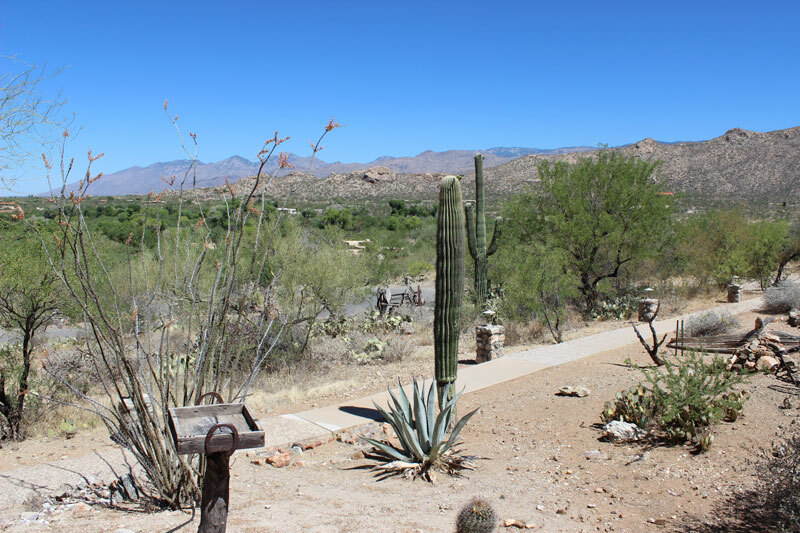 Tanque Verde Ranch is located in southern Arizona, close to the border of Mexico, and is surrounded by beautiful desert landscape right next to the Saguaro National Park. Here, the unique and strange Saguaro cacti grow into odd alien-like shapes that populate the landscape. They have spikes so large that falling onto or against one would certainly mean a trip to the hospital. I think about this as I ride past them in 95 degrees of heat on my western horse. I feel like a cowboy in a western movie, riding through the hot desert on my trusty steed. 4-year old Victoria riding one of her favorite horses on Welsh farm, Pantyderi. I rode a lot as a child. At six years old I was taught to ride by a welsh farmer called Max Jones who was my hero. My family couldn’t afford fancy vacations to foreign lands when I was young, but I didn’t care because the only place I wanted to go in the school holidays was Max’s farm in Wales. His farm, Pantyderi, was vast, supporting thousands of sheep and hundreds of cattle that grazed on thousands of acres of rugged but beautiful Welsh countryside. His business also included a flourishing bed and breakfast in the country house in which he lived with his wife Janet. Families from all over the UK converged on Pantyderi at Easter and summertime, and while the adults relaxed, the kids played around the farm and rode the horses. 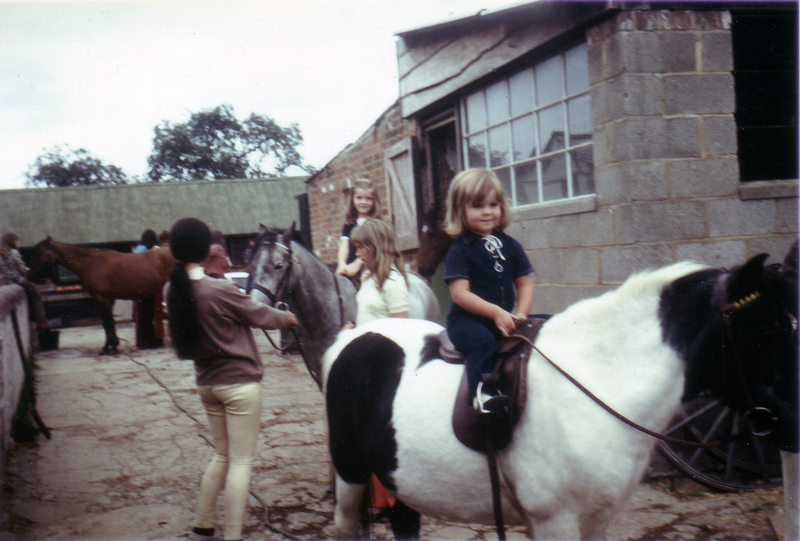 I had been riding since I was three, so by the time I was six years old I was riding unaided. My first welsh pony was Goblin, a skittish gelding that had a habit of throwing everyone who rode him, so of course the first time Max led the guests on a trail ride, I fell off and cried. My concerned mother said that maybe I should go back to the stables to nurse my wounds, but Max told my mother to be quiet and told me in no uncertain times me to get off my $%[email protected]$ backside and get back on my pony. By the end of that week I was riding as if I had been born on a horse. By the age of nine I was herding sheep on horseback, and by eleven I was entering competitions. I spent nearly every Easter and summer at Max’s farm for thirteen years, perfecting my riding skills, herding sheep, helping with lambing season, taking the sheep and cattle to market, driving the farm trucks and working the sheep dogs. It was absolute heaven. More than twenty years later I thought of Max and how he would have love to have ridden western style through this harsh but beautiful Arizona landscape. What would he think of me loping on my trusted horse like John Wayne, with one hand on my reins and the other by my side? Western style riding is quite different from the English style and I certainly prefer it – it just feels more relaxed. The Sonoran desert view from our hacienda at Tanque Verde ranch. Even though I spent a good portion of my younger years around horses, I don’t know them as well as I know dogs. Dogs have been my life’s work, while horses were my hobby, but while I was out west spending so much time on horseback, I found myself wondering how the relationship between human and horse differs to that of a human and domestic dog, if at all. I am not a horse expert by any stretch of the imagination, but in speaking to people who have spent their whole lives around horses it was interesting to see how different yet also how similar it was to the world of dog training and human/dog relationships. Horses are prey animals with a deep herding instinct. They are highly sensitive to their environment, hyper aware and ready to take flight if needed. Just like dogs, some horses are more confident than others, but just like dogs, all need a confident handler to teach them what to do. Some horses are highly reactive and can be spooked by the smallest things as are dogs, while others are more able to deal with change and novelty. The fact that dogs are predators and horses are prey should not define how we treat them. For far too long, horses have been trained using harsh methods and unfortunately the trend still continues (as it does in the dog training world.) These days, however, there are more and more people training horses with less punishment and producing more successful, confident and predictable animals as a result. There are horse people who believe you have to be leader of the herd and others who say you don’t. Sound familiar? 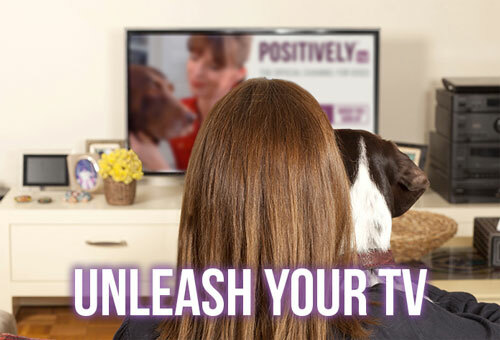 How many dog trainers still spout outdated and flawed pack leader theory? Being a pack or herd leader seems to suggest that these animals view us as their own kind rather than some strange, confusing two legged species. I think both dogs and horses are much smarter than people give them credit. I do believe we have to be leaders but that means we should not place ourselves as part of their herds or packs but rather as humans that teach and guide these animals while they navigate the challenges they face living so closely alongside us. Victoria on horseback in Arizona. Another distinction between horses and dogs that became clear to me once again was that while dogs have been domesticated, horses have been tamed. This is an important element to consider when comparing our relationships with each species, because the difference between domestication and taming is profound. As I wound my way up a steep and rocky path past rattlesnakes and prickly cacti, I had to work hard to convince my horse to keep moving at a decent pace and keep up with our guide. As far as Uno the horse was concerned, there was nothing particularly beneficial for him to do what I was asking him to do – it was all for me. Coming from the dog world where we strive to make our dogs’ lives better for their sake as well as our own through daily decisions both big and small, it was somewhat conflicting to realize that most of what I was asking the horse to do was mostly for my own benefit. 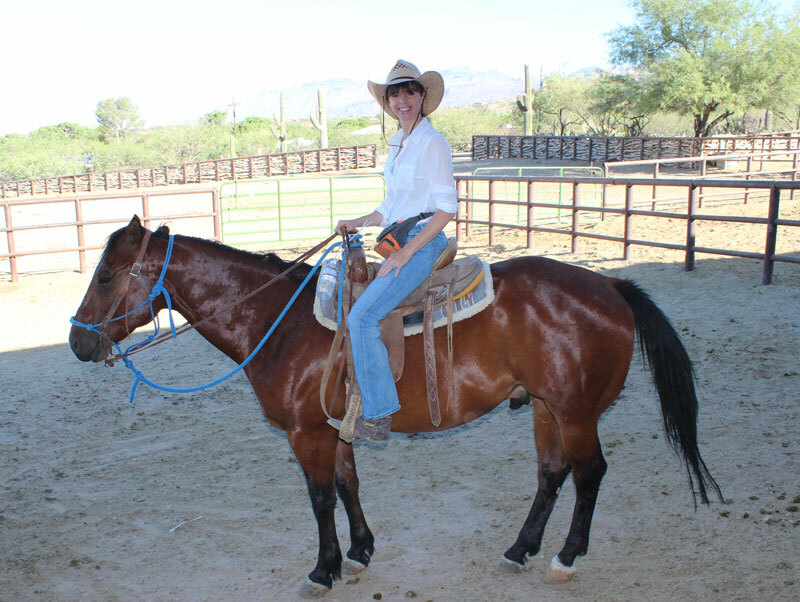 Sure, the horses on the Tanque Verde ranch and countless others just like it love to run, they relish and need the exercise we gave them and they’re far better off than their equine predecessors of just a generation or two ago. But if he had had his own choice, I’m pretty sure Uno would have preferred to avoid the trails I was asking him to traverse. Compare this to a similarly common dog activity: the daily walk. There are plenty of similarities (giving mental and physical stimulation, etc) but there’s also an element of relationship-based bonding that goes on during a good walk with your dog where it’s time equally well-spent for both parties. We get a lot out of it, but we also want the dog to have the ability to make her own (ideally correct) choices. In general, horses have less of a say in what they want to do and must follow our wishes pretty closely, while more of the choices we make with our dogs seem to be based on what’s best for them. Obviously we still develop relationships with our horses and develop deep understandings of one another despite our differences as species, but I think it’s fair to say that on average, dog owners have ‘closer relationships’ with their dogs than horse owners might with their horses. I’m not saying either of these approaches is better than the other. Indeed, when you consider the difference between domesticating dogs as our companions (and that the species slowly continues to move away from its original intention as working animals) and taming horses so that they can help us work and play, we’re probably more or less on target with what should be expected. 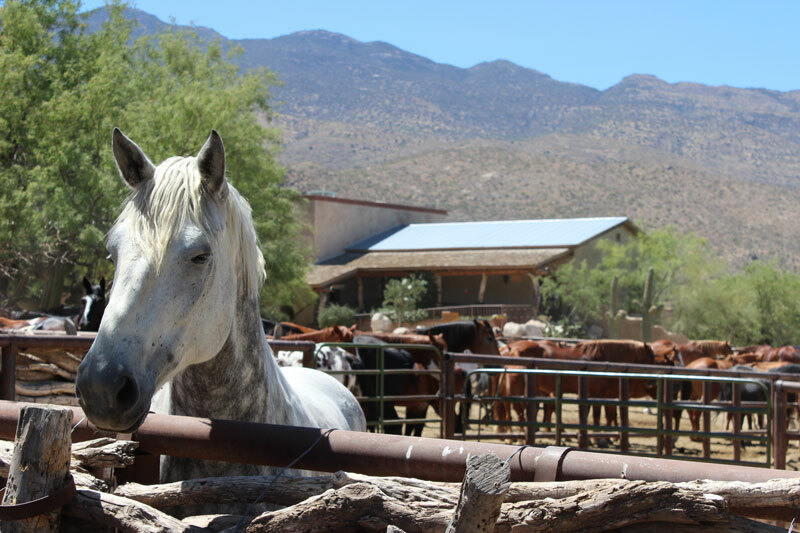 The Tanque Verde corral surrounded by beautiful desert mountains. 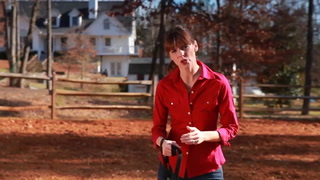 Like dogs, each horse is unique – an individual with its own personality. Each horse needs a confident and fair handler, one that can be assertive without being overly harsh and can guide and direct the horse into doing what is needed of it. Like dogs, horses have had a profound influence on humankind, and without the horse, the struggle for human survival would have been a lot harder. It’s interesting to me that man owes much of his success to both species. Without horses, plowing our fields, traveling from place to place, conquering new lands and fighting our wars would have been much harder. 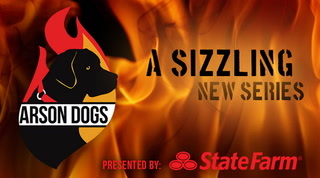 Without dogs, protecting our homes, livestock and our fields would have been impossible. Both species have influenced our culture more than any other species on the planet and both, regardless of what humans believe, deserve the utmost respect for surviving alongside humans, the most dangerous, complex and inconsistent species on earth.